In the summer of 1905, Joe T. Cunningham opened a furniture store and funeral home in downtown Royston. In the spring of 1935, John R. Pruitte fractured his neck in a diving accident. He could no longer care for the farm that he and his wife, Fannie Ida, had recently bought. Hearing of the young couple's troubles, Joe Cunningham offered to move them into an apartment in the funeral home. John Pruitte began working in the furniture store, but eventually Mr. Cunningham had him work at the funeral home. Realizing that John R. had a real gift for dealing with grieving families, he asked him to work full-time. 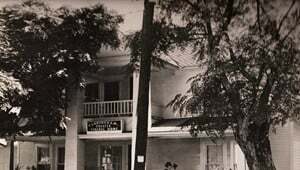 For a short period, Charlie Weatherly joined Mr. Cunningham, and the funeral home became Cunningham & Weatherly Funeral Home. When Mr. Weatherly decided to sell his part of the business, Mr. Cunningham offered it to John R., and it became Cunningham and Pruitte Funeral Home. John R. bought the entire business after the death of Mr. Cunningham in 1956, and it became Pruitte Funeral Home. Mr. Pruitte's nephew, William Oscar Pruitt, Sr. (Cedric), worked as an apprentice before attending embalming school. Cedric joined his uncle and aunt after graduating from the Kentucky School of Embalming in 1958. 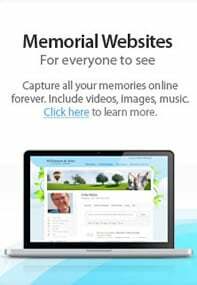 In the mid-1960s, Garnett Lee Bailey joined the staff and became a licensed funeral director in 1974. For the next 14 years, John R., Cedric, and Garnett worked together to lay the foundation for the traditions that would define and shape the future of Pruitte Funeral Home. This hardworking trio ended too soon when Garnett passed away at the young age of 43. In 1989, John R. and Fannie decided to sell the business to Cedric and his son, William Oscar Pruitt, Jr. At this time, the spelling of "Pruitte" was changed to "Pruitt" to reflect Cedric's spelling of the family name. Cedric and William enjoyed working together in this father and son partnership. However, in the late 1990s, they realized they needed to add another member to the team, so William asked Chadwick G. Bailey, Garnett's son, to join them. Chad graduated from Gupton-Jones College of Funeral Service as a licensed funeral director and embalmer in 1998. After serving families in the area for 42 years, Cedric retired in 2000. William, Jr., purchased his father's share of the business and William and Chad continued the traditions established by both their fathers. In October, 2003, William, Jr. sold the business to Chad, who continues to own and the operate the funeral home today. 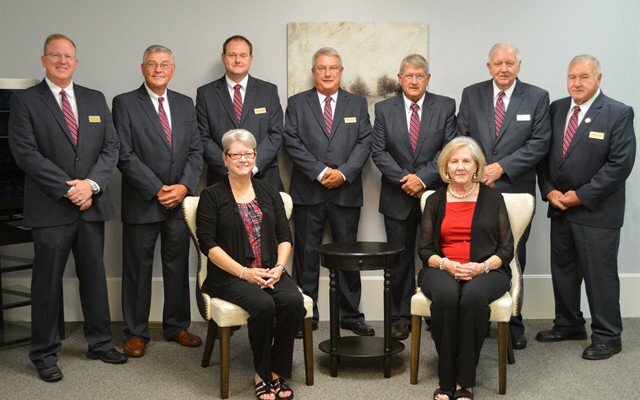 The staff of Pruitt Funeral Home is dedicated in continuing to give the same kind of service that has been a tradition since our doors opened in 1905. Chad has owned Pruitt Funeral Home since 2003. A native of Royston, he is a licensed funeral director and embalmer. He joined the staff in 1995, and graduated from the Gupton-Jones College of Funeral Service in 1998. Chad is a member of the Academy of Graduate Embalmers, Georgia Funeral Directors Association, and the National Funeral Directors Association. He is married to Chanda Bennett and enjoys spending time with his four children, Aubrey, Drew, Cass, and Landry. Chad is an active member of the Royston United Methodist Church. Olivia joined the Pruitt Funeral Home staff in 2012 and graduated from the Funeral Service program at Piedmont Technical College in 2014. She became a licensed funeral director and embalmer in June of 2016. She is married to Kevin Harris and they have one daughter. They are active members at the Royston Baptist Church and in the community. Larry is an assistant funeral director. A native of Franklin County, Georgia, he joined the Pruitt Funeral Home staff in 2000. He and his wife, Jan Brown Bowen, have two children, Clint Bowen and Jamie King, and a grandson, Kason. They are active members of the Royston Baptist Church and the community. Patricia is a part of our office team. A native of Royston, Georgia, she joined the Pruitt Funeral Home staff in 2011. She has two sons, Shawn and Shane, as well as four grandchildren. Patricia is a member of Trinity United Methodist Church in Royston, GA.
Jerry is a native of Royston and has been with Pruitt Funeral Home since 2004. He and his wife, Zadie are active members of Royton Baptist Church and active members of the community. They have four children, eight grandchildren, and one great grandchild. Marion started working with Pruitt Funeral Home in 2008. He and his wife, Wanda, have two children and two grandchildren. Jimmy is employed with Royston, LLC. He started working with Pruitt Funeral Home in 2014. He and his wife, Lisa, reside in Canon, GA. They have three children and one grandchild. Brannon is a native of Madison County and was a Ranger with the Georgia Forestry Commission. He joined the Pruitt Funeral Home staff in January of 2015. He and his wife, Jenny Claire, reside in Danielsville with their three dogs and two cats. Billy started working with Pruitt Funeral Home in 2016. He and his wife, Elaine, reside in Canon, GA.